VII. Multitudes of MIRACLES, which only the infinite power of God could effect, have been wrought for the confirmation of the doctrines and facts mentioned in the Scriptures, and for evincing the divine mission of the principal publishers thereof. The wisdom and goodness of God required him, especially when in the days of Moses and Christ he was establishing a new form of worship, to mark the important declarations of his will with some distinguishing characteristics, awakening to consideration. Nothing appears more proper for this end than a series of uncontrolled miracles, which no power could check, and which supported nothing but what was agreeable to reason, so far as it could conceive of it. Neither reason not experience can admit that the infinite wisdom and goodness of God could permit one, much less multitudes of uncontrolled miracles wrought in confirmation of the Scriptures have every favorable circumstance that could be wished. Their number was almost beyond reckoning, and all of them calculated to answer some great and benevolent end. According to the nature of the broken law, many of those wrought by Moses, Elijah, and Elisha, were tremendous and dreadful. According to the nature of the gospel which they published, the miracles wrought by Jesus Christ and his apostles were generally of a benevolent nature and tendency. Moreover most of the miracles mentioned in Scripture were performed in so public a manner that both friends and foes had the fullest access to a thorough examination of their nature and certainty. Most of them were wrought when the concurrent circumstances of Providence loudly called mankind to observe and examine them. Most of them—as the passage of the Hebrews through the Red Sea and through Jordan; the forty years’ sustenance of the people in the Arabian desert, by manna from heaven, and water from a rock; the stoppage or retrograde motion of the sun; the feeding of thousands with a few loaves and fishes; and the raising of dead persons—were of such a nature, that nothing less than absurdity itself can suppose the senses of the witnesses to have been deceived, or that any power less than divine could have produced them. Besides, all these miracles were wrought in confirmation of a religion the most holy, pure, and benevolent; and most of them by persons who were eminent patterns of virtue. And that such miracles were wrought, is in part attested by the inveterate enemies thereof, whether Jews or heathen. An Introduction to the Right Understanding of the Oracles of God by Rev. 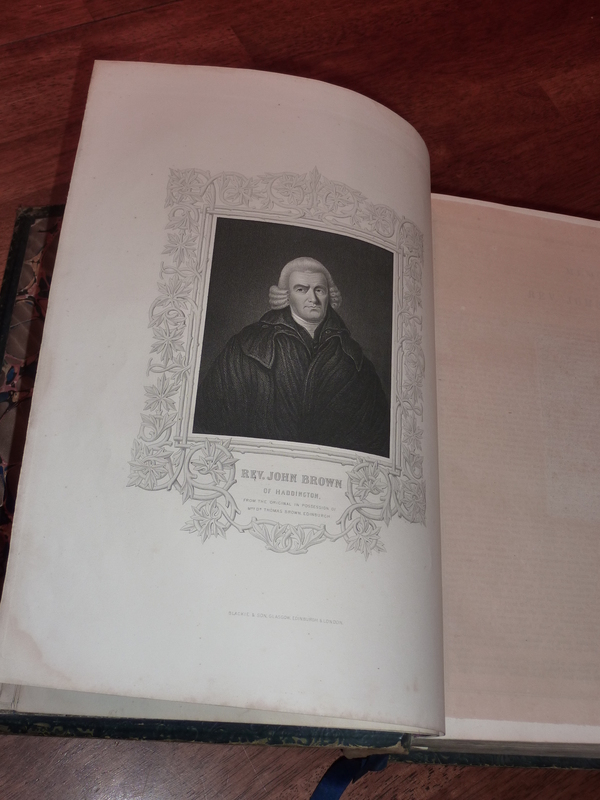 John Brown of Haddington.